We are travelling for 15 months from New Zealand. One of our aims during this visit is to volunteer in Quaker places and the Tapestry was high on our list. 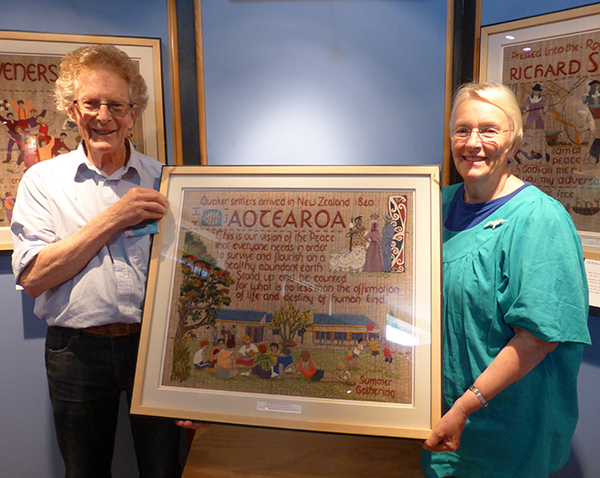 There are a number of Tapestry photos held at the Quaker Settlement in Whanganui in Aotearoa New Zealand. Some years ago our Canterbury Museum in Christchurch hosted an exhibition of these photos. 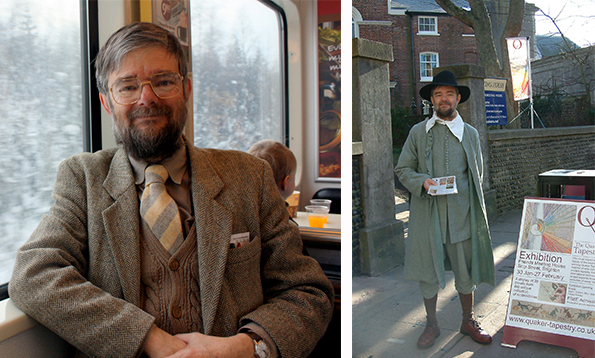 We Quakers had a roster so that there was always a Quaker presence in case of questions. 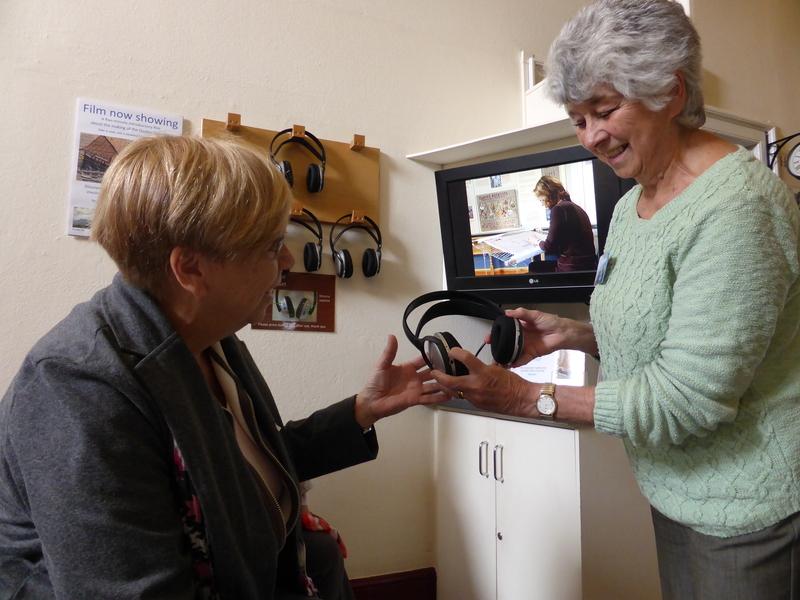 Volunteering at the Quaker Tapestry is a great way to further your knowledge of early Quakers and the Victorian Quakers and their businesses and achievements. You can also explore the Lake District on your days off. We were lucky enough to be taken on a two day tour of ‘1652 country’ (Quaker name for this area of Britain) before we started our volunteer work. We visited some key Meeting Houses and Quaker burial grounds. Most of all we loved the visit to Swarthmoor Hall in Ulverston, as now I can picture Margaret Fell and George Fox holding Meetings in the large Livingroom with Judge Fell sitting next door (in the 1650s). We have climbed the hill to look at the ruins of Kendal Castle which has excellent interpretation boards explaining how it would have been in the 1500s. We have a much greater appreciation of Beatrix Potter having visited her Hill Top home and the gallery with her original exquisite pictures. There is plenty to see in this wonderful picturesque countryside around the lakes. There have been many interesting visitors who have come for many reasons. Some went to Quaker schools, others are embroidery or history fans. Others still just happened to see the information in a pamphlet and came by out of curiosity. It is very convenient being able to stay in the cottage flat above the cafe which is very comfortable and has WiFi. We were surprised that many of the volunteers are not Quakers. He mihi mahana ki a koe i tenei wa. Warm greetings to you at this time.